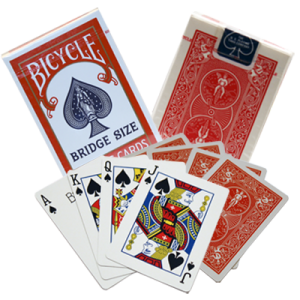 ‘It’s magic time’ is a simple, self working card trick that only requires that you follow the procedure that is guaranteed to work EVERY TIME. 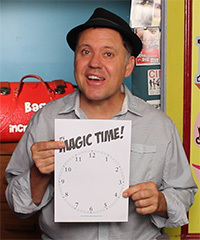 ‘It’s Magic Time’ is a fun and easy magic trick for magicians of all skill levels as it involves no sleight of hand at all. This removes all the stress that comes with the possibility of failing and getting a trick wrong. Just follow the steps correctly and you can sit back and enjoy the same feeling by even the most experienced magicians. It’s the feeling that comes when you know you are in control of your audience. I think that the concept behind ‘It’s Magic Time’ trick has been around for a while but I first stumbled upon this magic trick in a book called “The Amazing Book of Card Tricks” by Jon Tremaine. If you are looking for a magic trick that delivers when it comes to maximum reaction for not much effort, then you can’t go past ‘It’s Magic Time‘. It is not a requirement to use the download that is provided. ‘It’s Magic Time’ works just as well as a quick impromptu trick that you can do on the back of a napkin while you are waiting at a restaurant. In the video, I don’t just count to twelve when the cards are being laid. What I’m saying is not necessarily very funny, but it helps keep the magic trick enjoyable and makes it more than just a simple puzzle. Feel free to come up with your own funny take on the numbers. If you do want to use what I said, I have written it below for you. I haven’t added something for each and every number as that would only slow it down. Try and find your balance it keep it moving. Did you enjoy this “It’s Magic Time” magic trick? To learn more simple magic tricks Click here!